I love surprises, especially when they have to do with unexpected game releases, and this one today ranks pretty much at the top of my “great surprises of the year" list. Transistor ($4.99), the great A/RPG from Supergiant Games, has just appeared on the App Store this morning. I had been waiting for this game to appear on the App Store for quite some time, but, to be honest, I wasn’t even sure that Supergiant Games would bring their sci-fi RPG masterpiece to iOS. Apparently, not only have they ported the game over to iOS, but they are offering an “intuitive new touch interface" in addition to the game’s classic controls. And the developers have included gamepad support, which I know will make many of you happy. 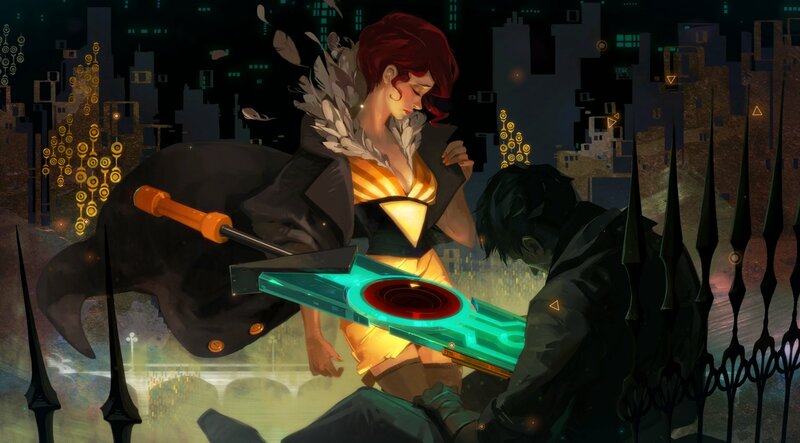 For those very few who haven’t heard anything about Transistor, the game is a gorgeous A/RPG with fantastic music and a deep combat that encourages experimentation and multiple playthroughs. Supergiant took everything that made Bastion, their first success, so great (the sense of a lived, vivid world and the fantastic storytelling) and added a much deeper combat system. The combat system gained many accolades for successfully marrying quick action gameplay with strategic planning. The game has gained pretty much universal praise and a ton of awards. Seriously though, you should have stopped reading this story the moment you read the title because this one is a gem. If you have any doubts, go to our forums and see how excited people are there. The game is out right now, it’s universal, and it costs $9.99.